Biodiversity is essential to the maintenance of human health. Extracts from many species of plants and, to a lesser extent, animals are critical to treating infections, disease, and other illnesses. According to the World Health Organization, about 80 percent of people in the developing world still depend primarily on traditional medicine, and 85 percent of that medicine is derived from plants (Farnsworth et al. 1985). Biodiversity plays a central role in Western medicine also; 57 percent of the top 150 most prescribed prescription drugs are extracted from natural sources or are synthesized based on natural compounds (Grifo et al. 1997). Natural compounds are also a source of inspiration for the development of new drugs and treatments. Furthermore, biodiversity forms the basis of medical models that allow us to understand human physiology and disease. Traditional healers use local plants and animals to treat a variety of illnesses, and their knowledge has been essential to the advance of medicine, pointing the way to many common drugs The precursors of modern antibi otics—molds—were used as medicine in ancient times and this usage likely originated more than 3,000 years ago. Chinese, Egyptian, Indian, Greek, and Roman healers used molds to treat wounds, inflammation, boils, and infections. The link between mold and antibacterial properties was later made by Sir Alexander Fleming in the 1920s when he found that a fungus (Pénicillium notatum), a common bread mold, stopped the growth of Stapholococcus bacteria. Later another species, Pénicillium chryso-genum, was discovered that has more powerful antibacterial activity and forms the basis of the antibiotic penicillin and its derivatives used today to treat many infections from pneumonia to tetanus. Microbes continue to be critical to the development of anti-infective agents. Similarly, aspirin is derived from salicylic acids found in the bark of willow trees (Salix sp.) and in a European herb, Queen of the Meadow (Filipendula ulmaria or Spiracea ulmaria in the older literature). Queen of the Meadow was long used in folk medicine to treat pain and fevers. In 1839, its active component, salicylic acid, was isolated from the plant's buds. Unfortunately, salicylic acid caused stomach upset. In 1899, the Bayer company created a synthetic derivative, acetylsalicylic acid, and called it aspirin, a for acetyl and spirin for the plant, Spiracea, that it was derived from. Sources: Balick, Michael J., and Paul Alan Cox. 1997. Plants, People and Culture: The Science of Ethnobotany. New York: W. H. Freeman, pp. 34-35; Grifo, Francesa et al. 1997. "The Origins of Prescription Drugs." In Grifo, Francesa and Joshua Rosenthal, eds. Biodiversity and Human Health. Washington, DC: Island Press, pp. 131-163; Oldfield, Margery L. 1984. The Value of Conserving Genetic Resources. Washington, D.C.: U.S. Department of the Interior, National Park Service, pp.96-103; Wilson, Edward O. 1992. "Unmined Riches." In Wilson, Edward O. The Diversity of Life. Cambridge: Belknap Press of Harvard University Press, pp. 286-287.
body cope with stress. Although studies of ginseng have had mixed results, recent clinical trials with elderly patients indicated that those who took ginseng were less susceptible to respiratory infection. Along with garlic, ginseng is the most popular herbal supplement used in the United States, where alternative therapies are becoming increasingly popular. Renewed interest in everything from herbal supplements to teas stems in part from the rising cost of Western medicine and from new studies that show the health benefits of herbs. Garlic extracts, for example, were found to be better than many penicillins in fighting some bacteria. traditional medicines tended to treat four main categories of illness: gastrointestinal, inflammation, skin ailments, and obstetric/ gynecological diseases (Balick and Cox 1997). In contrast, most Western drugs are designed to treat cardiovascular and nervous system disorders, cancer, and microbial ailments. There are several possible explanations for these differences. Western drugs are typically targeted at the major illnesses in Western cultures—heart disease and cancer; the drugs are also created by market demands with economic incentives in mind. Also, it is more difficult to diagnose cancer and cardiovascular disease with traditional methods; because the drugs that treat these diseases can be toxic at low levels, it is difficult for a traditional healer to create appropriate doses. 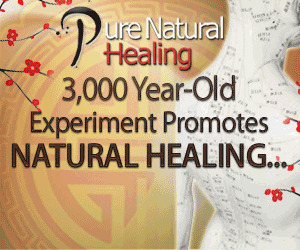 Unfortunately, as cultures disappear around the world, the knowledge of traditional medicine disappears. According to studies of language, of the 6,000 spoken languages, most are spoken by indigenous people and about half of their cultures are threatened with extinction (Maffi 2001). Since 1900, more than 90 different indigenous cultures in the Amazon region have disappeared. Indigenous peoples often have extensive knowledge of their local environment. 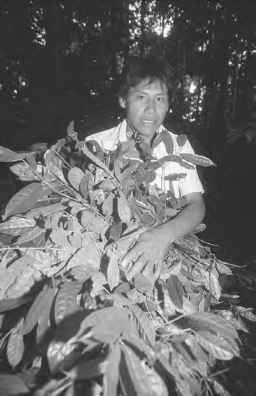 For example, studies of the Cha-cabo Indians of the Bolivian Amazon found that they could identify 360 species of plants in the forests around them and had uses for 305 of them. Knowledge about plant uses is often passed on through oral traditions, but younger generations are rapidly losing this knowledge. Over millions of years, plants and animals have evolved unique compounds that enable them to combat pests or immobilize prey. Yet only a small fraction of these compounds has ever been tested for medical potential; the chemical composition of less than 1 percent of the estimated 250,000 species of flowering plants has been studied. These chemical structures are a source of inspiration in the quest to create new drugs. The path to discovering new drugs is long, complex, and expensive. Initially, it begins with either a random or targeted approach. In random screening, a large number of plants or animals are collected and preserved. Alternatively, plants or animals are selected from families that are already known to produce useful compounds or chosen based on their use as traditional medicines. Scientists, known as ethnobotanists or ethnozoologists, spend many months or years working with traditional healers to understand the plants or animals that are used as medicines and to select species for testing. The success rate for random collections is relatively low compared to other methods, though it did lead to the discovery of Taxol, an extract from yew bark, which is used to treat ovarian and breast cancers. For either approach, once plants have been collected, extracts are prepared from them and screened for different biological properties, such as anticancer or antibacterial activity. This testing, known as a bioassay, formerly required injecting animals with extracts and observing their responses, which was a relatively expensive and time-consuming process. Now the tests are highly automated, and the sensitivity of extracts is examined in petri dishes or tubes. Typically, additional plant or animal material is collected from those extracts that seem most promising. These extracts are further isolated and purified, and compounds that are already known are removed. The molecular structure of novel compounds is then determined. At this point, it is possible to determine if a compound can be synthesized in whole or in part in the lab, or if it must be harvested or cultivated. The compound must go through a series of clinical trials to deter mine whether it is safe for humans and to evaluate its effectiveness in treating the illness. With new bioassay methods, it has become feasible to test a large number of extracts from nature relatively easily. Some species are of particular interest, for example, venomous animals are an important source of useful compounds because they produce very powerful chemicals that act against the nervous, muscular, and circulatory systems of their prey. The Fer-de-lance (Bothrops jararaca), a deadly, tropical snake, kills its prey by injecting it with venom that causes a fatal drop in blood pressure. Realizing that this property may aid people who suffer from high blood pressure, researchers analyzed it for its potential as a drug. The venom became the basis for two drugs, enalapril (Vasotec) and lisinopril (Zestril), to treat hypertension. These two drugs have reduced the number of deaths from strokes and heart attacks. Poison Dart Frogs found in much of Central and South America secrete poisons from their skin to immobilize their prey. One species endemic to Ecuadorian lowland rainforests, Epipedobates tricolor, has been central to the development of the pain killer, epibatidine. Epibatidine is 200 times more powerful than morphine, but the frog seems to produce it only in its natural habitat not in the lab. Though epibatidine was found to be too toxic to use on humans, it served as a model to create a similar compound, ABT-594, that is nontoxic and lacks the side effects of morphine. It is currently being tested in clinical trials. Anticancer drugs have been developed from a range of sources including fungus and mouse urine. One drug, called combretastatin, derived from the African bush willow (Combretum caffrum), is highly effective against several cancers that produce solid tumors. 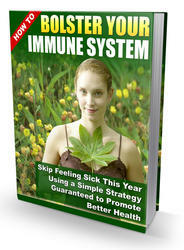 It functions by cutting off the blood to tumors killing about 85 percent of the cancerous cells. Unlike many cancer therapies, combretastatin does not affect normal blood vessels. In initial clinical trials, it appeared to be highly effective in combination with radiation treatment. Even fewer marine organisms have been analyzed for medical potential. Marine organisms produce many novel compounds, including some of the most powerful toxins on earth. Currently, the aquatic realm is leading the next wave of medical discoveries. In particular, marine invertebrates (such as mollusks, tunicates, sponges, shrimp, and squid) have been found to contain novel, pharmacologically active compounds (National Research Council 1999). Unfortunately, many of these compounds are highly complex, making them difficult to synthesize in the lab and thus not as viable as a drug source. Cone shells are mollusks that use a special harpoon loaded with a potent venom that paralyzes its prey almost instantly. Some species are so poisonous they can kill humans with small doses of venom. Ziconotide (SNX-111), a painkiller, was created from a peptide in cone shell venom. Ziconotide is hundreds of times more powerful than morphine; what is unique about this painkiller is its targeted action. Injected at the spinal cord, it blocks the channels where pain signals normally travel, basically blocking the pain without causing numbness. There are over 500 species of cone shell and each has 50 to 200 active peptides in their venom, which hold promise for developing very specified drugs without side effects. Dideminm B, an extract from sea squirts, or tunicates (Family Didemnidae), shows strong antitumor activity. It is the first compound derived from a marine organism to be tested on several cancers in clinical trials. The compound was first isolated from tunicates living in mangroves on Puerto Rico. Related com pounds are being extracted from Mediterranean tunicate species. Another anticancer compound is being developed from the spiny dogfish, a species related to sharks. Of the more than 5,000 compounds derived from marine organisms, about 30 percent were found in sponges. Research is ongoing to study the effects of compounds derived from sponges in preventing and treating tumors. A successful antiviral drug, acyclovir (Zovirax), was created based on structures of cytosine ara-bionside that were isolated from a Florida sponge (Tethya crypta). Biodiversity also provides medical models that allow researchers to understand human physiology and disease. For example hibernating black bears may provide solutions to the treatment of trauma, osteoporosis, or kidney failure. When bears hibernate during the winter, they stop most normal functions (such as eating, drinking, urinating, or defecating) for 150 days (Nelson 1987). But unlike some hibernating animals, bears only lower their temperature slightly (about 5°C) to accomplish this feat. Researchers are trying to understand the physiological changes that allow bears to survive hibernation. One discovery is a blood protein called Hibernation Induction Trigger (HIT), which slows organ metabolism and reduces blood coagulation. This protein could minimize blood loss for patients being rushed to the hospital after a severe accident. When HIT is injected into nonhibernating mammals, like monkeys, they enter a hibernating state, with a reduced heart rate and temperature. Bears recycle urea when they hibernate. In humans a toxic buildup of urine is fatal in a matter of days, but bears seem able to break down urea and reuse it to build tissue. Most animals that don't exercise, including peo ple, lose bone mass. But bears survive hibernation with little to no bone loss (Harlow et al. 2001). Understanding these mechanisms could help people who suffer from kidney failure or osteoporosis. Although sharks have primitive immune systems, they are particularly resistant to cancerous tumors. Early studies found that even when sharks were exposed to cancer-causing agents, they did not develop tumors. Unlike mammals, which produce many different immunoglobulins, sharks only have one type and it resembles the one found in human fetuses. Sharks also appear to have natural antibodies to HIV (the virus that cause AIDs in humans). Understanding how a shark's immune system functions may provide clues to improving the human immune response to cancer or autoimmune diseases (Marchalonis et al. 1998). Many organisms are ideal for the study of certain organs or diseases. The horseshoe crab (Limulus polyphemus) has one of the largest and most accessible optic nerves of any animal. This has made it ideal for the study of animal vision and has provided new understanding of human vision. Blood from the horseshoe crab also provides the most sensitive test for gram negative bacteria. The sea squirt or tunicate is the only animal other than humans to develop stones in its kidney-like organ. This animal as been used as a test case to develop strategies to prevent kidney stones in humans (Chivian 1997). See also: Bacteria; Economics; Valuing Biodiversity; Why Is Biodiversity Important? Balick, Michael J., and Paul Alan Cox. 1997. Plants, People and Culture: The Science of Ethnobotany. New York: W. H. Freeman and Co.; Chivian, Eric. 1997. "Global Environmental Degradation and Biodiversity Loss: Implications for Human Health." In Biodiversity and Human Health. Edited by Francesa Grifo and Joshua Rosenthal, pp.7-38. Washington, DC: Island Press; Farnsworth, Norman R., O. Akerele, A. S. Bingel, D. D. Soejarto, and Z-G. Guo. 1985. "Medicinal Plants in Therapy." Bulletin World Health Organization 63:965-981; Grifo, Francesa, David Newman, Alexandra S. Fairfield, Bhaswati Bhattacharya, and John T. Grupenhoff. 1997. "The Origins of Prescription Drugs." In Biodiversity and Human Health. Edited by Francesa Grifo and Joshua Rosenthal, pp. 131-163. Washington, DC: Island Press; Harlow, Henry J., Tom Lohuis, Thomas D. I. Beck, and Paul A. Iaizzo. 2001. "Muscle Strength in Overwintering Bears." Nature 409(6823):997; Maffi, Luisa, ed. 2001. On Biocultural Diversity: Linking Language, Knowledge and the Environment. Washington, DC: Smithsonian Institution Press; Marchalonis John J., Samuel F. Schluter, Ralph M. Bernstein, and Valerie S. Hohman. 1998. "Antibodies of Sharks: Revolution and Evolution." Immunological Reviews 166:103-122; National Research Council. 1999. "From Monsoons to Microbes: Understanding the Oceans Role in Human Health." Committee on the Oceans Role in Human Health, Ocean Studies Board, Commission on Geosciences, Environment and Resources, National Research Council. Washington DC: National Academy Press; Nelson, Ralph A. 1987. "Black Bears and Polar Bears—Still Metabolic Marvels." Mayo Clinic Proceedings 62:850-853. Why is biodiversity benefits in medicine?